What Is Pure Maracuja Oil Reviews All About? 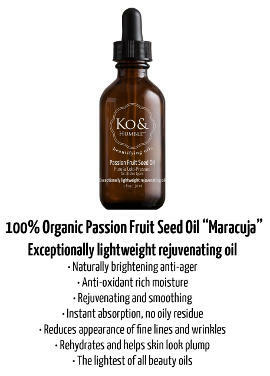 Maracuja oil or else Passion Fruit Seed Oil comes from the passion flower or its seeds and is an oil that offers a wide variety of benefits for the hair, skin and even body. It is well known to have anti-inflammatory, emollient and antioxidant properties which make it very beneficial for all types of skin, especially mature aging skin, and is said to be good for the face and even neck, helping to reduce wrinkles in some cases. It contains vitamin C and a high amount of an omega 6 fatty acid called linoleic acid as well as carotenoids which are good for skin Sun protection. In addition, this natural oil reduces itching, soothes dry skin as well as treats Sun damaged skin due to the lycopene that contains and in combination with other skin beneficial components. When it comes to Maracuja Oil benefits for hair, it is recommended for both hair and scalp to promote healthy hair growth, add shine, rejuvenate hair and repair split ends. In addition, it balances the natural sebum production on the hair as well as the skin. It can also be used in bath care products or massage formulations due to its anti inflammatory and relaxant properties, and is good for swelling and muscular aches as well as suitable for foot and nail care. Overall, it is said to have a light texture without clogging the pores. This is an oil appropriate only for topical application and not internal use. 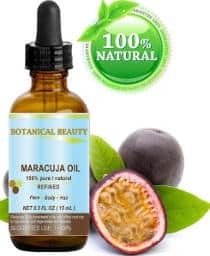 So, after getting to know a little about Maracuja Oil benefits for hair, face and body as well as its uses, let´s have a look at the reviews of some good quality pure Maracuja Oil options. This Botanical Beauty Maracuja Oil is 100% pure as well as vegan and comes in a 0.5 ounce amber bottle with an eye dropper applicator. Since this is an extremely small bottle of Maracuja oil, users mostly tend to use it on their skin or add a few drops to their shampoo or cream rinse. However, even when used in small amounts, people find that it offers them several benefits. For example, it reduces skin redness and helps to minimize wrinkles. It absorbs easily and doesn’t leave behind any sticky or oily residue. It also prevents scalp irritation and reduces scalp itch while leaving their hair feeling softer. Leven Rose is a popular company specializing in high quality natural oils. 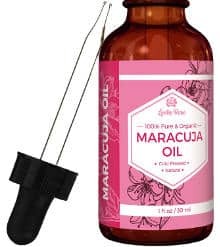 This Leven Rose 100% Pure and Organic Maracuja Oil is a cold pressed cruelty free natural product that comes in a 1 ounce dark amber glass bottle with a glass dropper. It is alcohol, fragrance and paraben free, and comes with a 100% money back guarantee. Users really like this free of additives and fillers Maracuja oil and review that it absorbs into their skin quickly and doesn’t leave any greasy or oily residue. Several of them have stated that it relieves the itching from insect bites as well eczema. A couple of drops placed on your hands and run through your hair leaves it feeling softer and adds a good deal of shine to it. 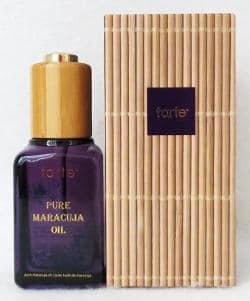 The Tarte Maracuja oil is probably the most well known brand of this oil. It comes in a 1.7 ounce stylish purple bottle, contained in a special looking box, and uses a wand applicator. According to the Tarte Cosmetics, this product reduces skin pores, improves the skin´s texture as well as moisture levels and tone, and makes skin smooth and more glowing without leaving any oily residue. Consumers really like this oil and say that it absorbs well into their skin. It hydrates it without being greasy and soothes the dry flaking skin of Psoriasis sufferers. They also enjoy the fact that it is very fine and light, and claim that it works well as a hair oil leaving their hair looking smooth and glossy. While some people use it straight from the bottle, others mix it with carrier oils or add it to products such as shampoos and cream rinses. The KO & Humble Maracuja oil is a cold pressed and unrefined natural oil that is responsibly resourced and is free of synthetic fragrances and parabens. It is also cruelty free and comes in an amber bottle with a dropper. According to the company, this extremely gentle multi purpose anti aging oil brightens the complexion, regulates the natural oils of the skin, reduces fine lines and wrinkles as well as improves dry patches and acne scars. Users´ reviews mention that it is super absorbent and moisturizes people´s skin extremely well. People like that they can use it alone or with other products or carrier oils. They state that it leaves their skin softer and improves its texture while it also lessens the redness and actually reduces existing bumps. Consumers who use this oil on their hair say that it leaves their hair soft and shining. 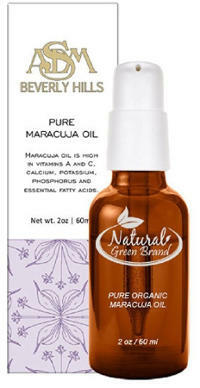 This rich in essential fatty acids and vitamins Natural Green Brand Maracuja Oil is hand pressed and unrefined. 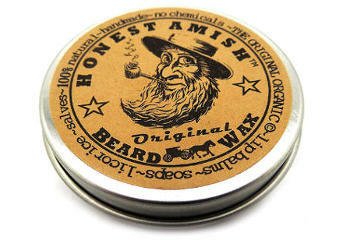 It comes in a 2 ounce amber bottle with and eye dropper applicator. 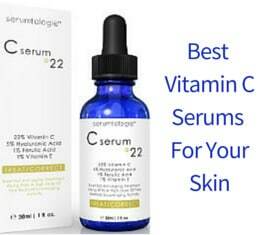 According to the company, it restores skin harmony by regenerating and repairing the skin while also brightening it. It does not leave skin with a filmy or greasy feeling. 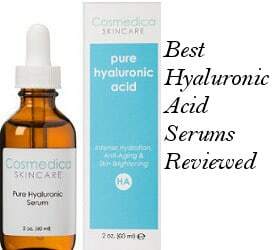 People who purchased this product really like it and say that it absorbs into their skin well and helps to reduce signs of aging including the appearance of fine lines and wrinkles. It results in a more even skin tone and leaves their complexion absolutely glowing. It also reduces redness and bumps. When it comes to their hair, it leaves it feeling soft as well as adds shine to it. This BioSilk Hydrating Therapy Maracuja Oil comes in a 4 ounce bottle and is designed specifically for use on your hair. It is made in the USA. Users are very pleased with this hair oil and find that it really does wonders for their hair. It leaves it feeling softer, silkier and smoother while also adding shine and luster to it. All in all, if you need to find a good natural product that will enhance both your skin´s and hair´s health and beauty, then Pure Maracuja Oil is a good option for you to think about.